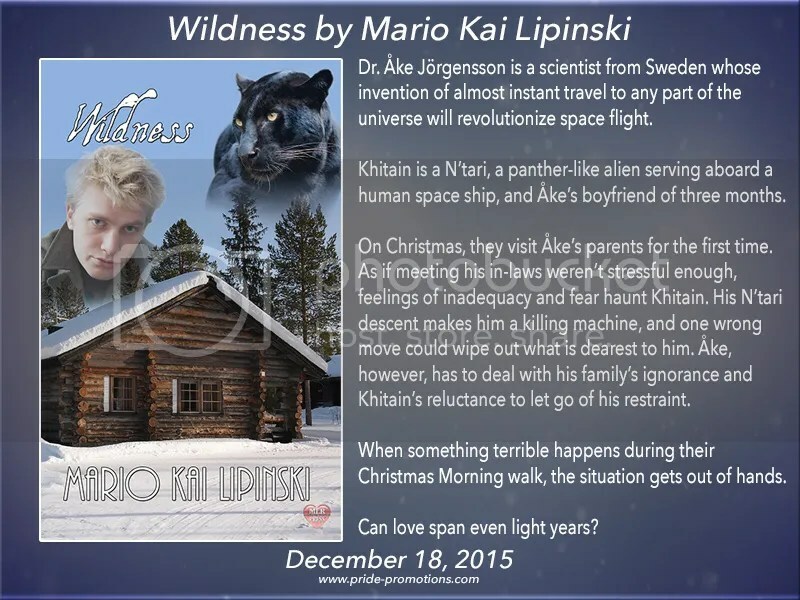 Book Blast & #Giveaway : Wildness by Mario Kai Lipinski! “So much water.” Khitain looked down at the fuzzy blue ball of Earth. “Your home world is beautiful.” As beautiful as his mate, but Åke didn’t like to hear such praise, so Khitain kept it to himself. “I thought N’tar was also rich in water.” Åke stepped forward and pressed his forehead against the window of the landing pod. As always, some strands of his hair stuck out at the strangest angles. What was the human name for that color again? Oh yes, blond. The blueness of Åke’s irises flowed into the slightly darker shade of the water that reflected in the whites of his eyes. Sweden. The land of Åke’s ancestors. The land of Åke’s parents. Khitain didn’t fear his enemies. So these people couldn’t be his enemies. “It’s you who keeps telling everyone that I’m not a cat.” Khitain had seen holo vids of tigers, panthers, and lions. Of course, humans compared him with those. One of the panthers had even resembled his Second Aunt Eritruin, though the animal had looked friendlier. Much friendlier. 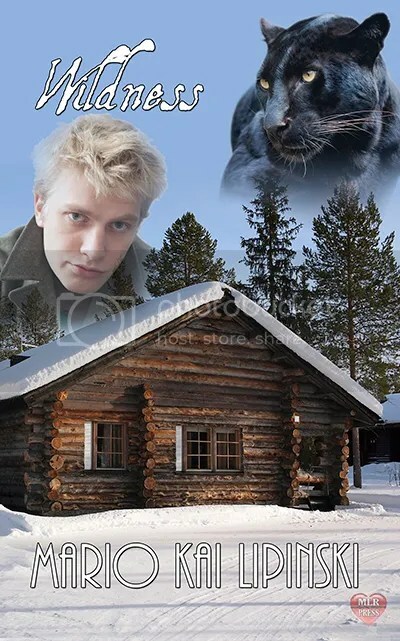 “Because you aren’t, but for Emi, you’ll be a walking, talking pussycat.” Åke bared his teeth. Why did humans think that doing so was an amicable gesture? “And for your parents?” Khitain closed his hand around Åke’s, his tri-Kevlar claw protector rubbing over Åke’s knuckles. Åke pecked Khitain’s flank and nuzzled the fur until his nose grazed the skin beneath. When Åke’s parents saw how much their son and he loved each other, maybe they’d refrain from chasing him out of their home and at least tolerate a lowly soldier. The pod decelerated and the counterforce of the inertia damper tugged at Khitain’s fur. The claw shape of Scandinavia filled the whole window now. Khitain wouldn’t fit into that thing, that car. At least not into the models the ship’s computer had shown him, and moreover, he weighed more than those transports could load. Yet Åke wrapped Khitain’s shame up in a way that allowed him to save face. “I’d love to see the wilderness of Sweden.” He buried his nostrils in Åke’s hair and inhaled its smell, reminding him of mature Garraj fruits. The city soared by beneath them, and the shiny facades of the new buildings reflected the stony images of the old. Human settlements reached so high into the sky, much higher than the low huts on N’tar. The pod came to a halt, hovered in the air for some seconds, and descended onto the landing platform. A jolt rocked the ship as it touched the ground. With a hiss, the hatch of the shuttle opened. Khitain inhaled. They had landed in the center of the city, and yet the air smelled of nature and life. How much he had missed those odors in the artificial atmosphere of the Charon’s Boat, and how much he yearned to return to the safety of the ship, a hundred light-years away from Åke’s parents.